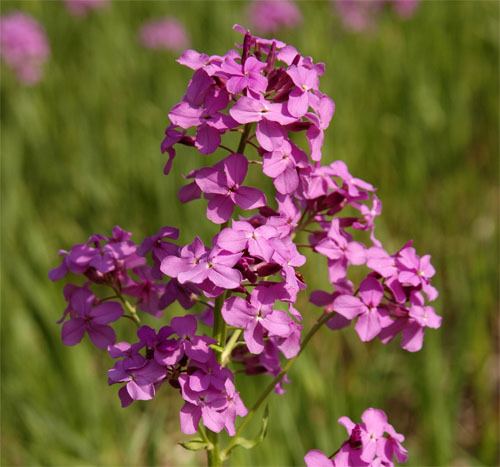 Dame's rocket is native to Europe and southwest Asia and was introduced to North America as an ornamental flower in the 1600s. 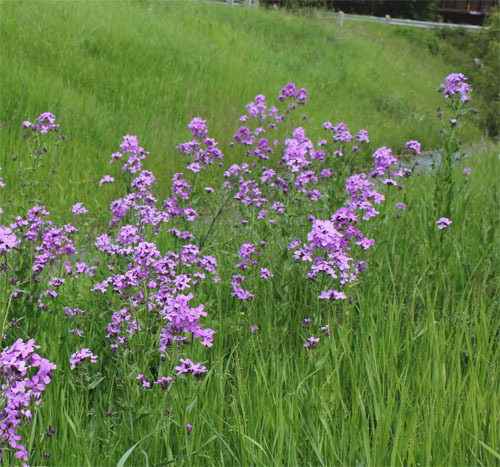 It is a prolific seed producer that can quickly form dense stands in moist, shaded grassland areas and along woodland edges. 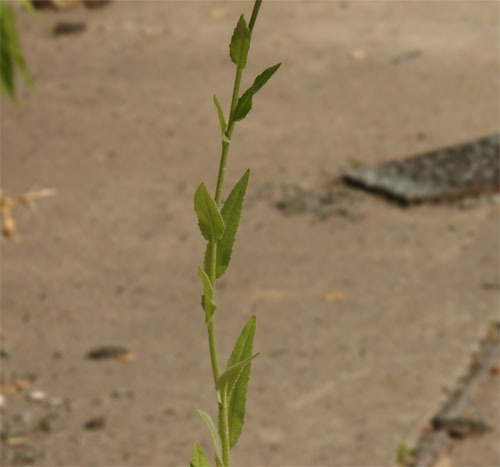 This plant grows up to 1 m tall and is often branched near the top. Its flowers are fragrant, 8-15 mm wide, white or pink in colour, and have four petals each. The alternately arranged leaves are elliptic or lance-shaped, 4-20 cm long and 2-10 cm wide, and have toothed edges. The leaves and stems are covered in hairs. The seed pods of this plant are distinctively long and narrow, 5-10 cm long and 2-2.5 mm wide.